Posts on behalf of our nonprofit partner organizations. Over 3,600 volunteers are anticipated to give back all over the Front Range, from Pueblo to Grand Junction and everywhere in between. With nearly 70 opportunities, there is guaranteed to be something for you and your family to enjoy. Nonprofit Partners! Join Us for a Panel on the Recent Legislative Session. Join Colorado Collaborative Connections for a recap of Colorado’s 2017 legislative session. Legislators, for-profit and nonprofit leaders will give their take on the successes and short-falls of the session and their perspectives on moving forward in 2017. If you are interested in sponsoring an upcoming Colorado Collaborative Connections, please contact Lisa Borgmann at lisa@cshares.org. Presented by members of the Colorado Collaborative for Nonprofits: Colorado Nonprofit Association, Colorado Nonprofit Development Center, Community Resource Center, Community Shares of Colorado, and Metro Volunteers. 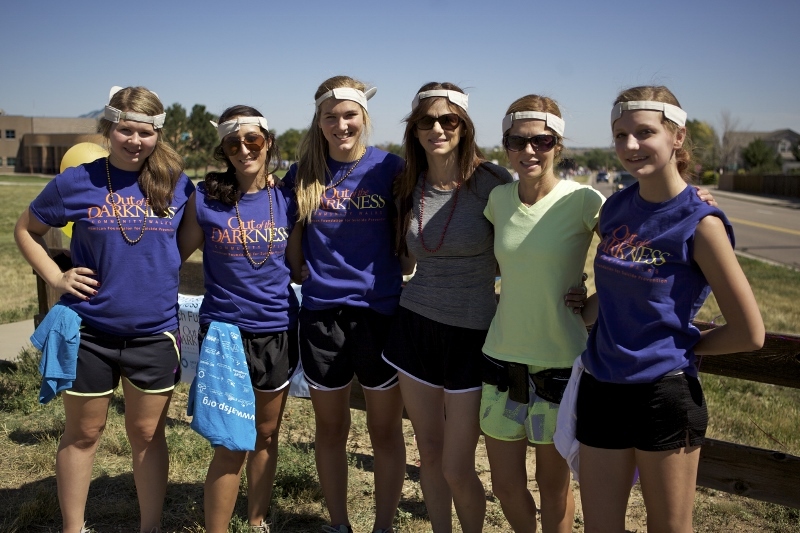 The American Foundation for Suicide Prevention (AFSP) Colorado Chapter will be hosting its Annual South Metro Out of the Darkness Walk on September 6, 2014 at Highlands Ranch High School. AFSP will need close to 185 volunteers to help make this day successful and raise funds to help save lives. Opportunities range from set up and take down, to serving refreshments, handling registration, greeting people, and being on the medical staff to name a few. 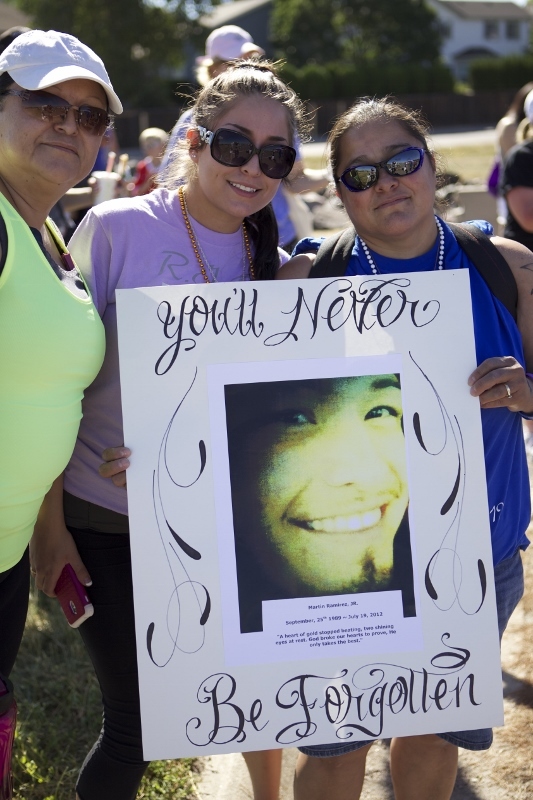 Last year, AFSP had 1585 walkers and raised almost $140,000 to fund research, advocacy and education as well as survivor programs both locally and nationally to raise awareness and prevent suicide. The 2013 walk was ranked #9 out of 300 nationwide community fundraising walks! Volunteer opportunities have been and will continue to be posted on our site, MetroVolunteers.org and can be found by searching “AFSP”. We would greatly appreciate your assistance! And, you’re welcome to walk with the AFSP crew, too, in memory of a loved one or in support of the cause (www.afsp.org/walks). Please contact Lisa Neison, Volunteer Coordinator, at colorado@afsp.org or Laurie Freeman, Walk Chairperson, at tljcfreeman@live.com for more information. The Set- up crew will be responsible for making sure that the layout of the event is correct and that all the different components are set up and ready to go by the start of the event. This includes, but is not limited to: stage set-up, food and beverage, tent set-up, garbage and recycling is put through out the event, check-in area is set-up and clearly defined, as well as all the fencing around the event is up and in the correct place. The check-in crew will be responsible for registering and collecting any donations for all the guests during the event. Volunteers will be giving out drink tickets and other items to guests. Volunteers will also be checking ID’s for anyone interested in having an alcoholic beverage at the event. They will also be responsible for answering any questions related to the event for guests or interested parties. Food volunteers will be responsible for all food related tents at the event. This includes, but is not limited to, supporting in setting up the food areas, managing each food station, serving food to guests, keeping each tent clean and presentable as well as packing everything up at the end of the event. Beverage volunteers are responsible for the stocking and distribution and cleanliness of all the beverage tents. This includes, but is not limited to, keeping tents stocked with beverages, ice, and any other necessary components to the beverage tent, taking payment for the beverages, keeping tents clean, taking inventory on a regular basis as well as packing everything up at the end of the event. We are looking for 4 TIPS certified bartenders for our Beverage volunteers to help manage the alcoholic beverages. VOC activities volunteers will manage the VOC activities that will happen during this event. These activities will be designed specifically to give guests and a chance to experience the work of the VOC first-hand. All volunteers will be properly trained on how to runt he activity ahead of time so they feel comfortable with implanting the activities. This position must have extensive knowledge of the mission and values of the VOC as well as be able to communicate well with guests. Stage Management volunteers will help manage the stage including moving the bands on and off the stage, supporting speakers during the program parts of the event and supporting the sound engineer with any issues. Volunteers will make sure that the bands and the VOC are all taken care of for the duration of the event. This position requires someone to be able to manage multiple projects at the same time as well as be an excellent communicator. The waste management volunteers will be responsible for making sure that the waste and the recycling is all being maintained and taken care of during the event. This includes, but is not limited to, checking all garbage and recycling bins regularly, changing out full bins, making sure that each bag of garbage is disposed of in the proper location. The strike crew is responsible for making sure that everything is broken down and that the park looks exactly like it did the day before or even better. This includes, but is not limited to, breaking down of the stage, breaking down of all the tents, pulling all the fencing together for the company to come and pick up, as well as making sure that there is no trash left behind. TRAINING – Training for volunteers will take place on Monday, August 18th from 5:30 pm – 6:30 pm at Confluence Park. To Sign-up to volunteer you can click here! Also to learn more about the event check out their website here. Now Accepting Nominations For The 2014 Governor’s Service Awards! Happy nominating! Today starts the beginning of the nomination process for the 2014 Governor’s Service Awards. Organizations are encourage to nominated individuals for Outstanding Volunteer, Outstanding Veteran Volunteer, Outstanding Community Member and Outstanding Nonprofit organization. Below is a complete outline of the awards given and the nomination process. Please reach out to the Governor’s office if you have any questions regarding the awards and we look forwarding to finding out who the winners are! Serve Colorado – the Governor’s Commission on Community Service is now accepting nominations for the 2014 Governor’s Service Awards. The Governor’s Service Awards are presented in recognition and appreciation to individuals, community/civic leaders, various organizations, and AmeriCorps members for their outstanding contribution to volunteerism and service throughout the State of Colorado. Nominations will be accepted through Friday, July 7 at 5 p.m. The awards will be presented at a special awards ceremony at The Colorado State Capital on Monday, August 11, 2014. Outstanding Veteran Volunteer: presented to a veteran from any branch of military service who has demonstrated outstanding volunteerism, community service, and civic engagement. Outstanding Community Leader: given in recognition to an individual that provides outstanding leadership, organization, and inspiration to volunteerism in their community. Outstanding Nonprofit Organization: given to a non-profit organization that has made outstanding impacts on Colorado communities. Outstanding AmeriCorps State/National Member: given to a currently serving AmeriCorps State/National Member or an AmeriCorps State/National member that has served within the last year who is an extraordinary example of the spirit of AmeriCorps. Outstanding AmeriCorps VISTA Member: given to a currently serving AmeriCorps VISTA Member or to an AmeriCorps VISTA member that has served within the last year who is an extraordinary example of the spirit of AmeriCorps. Outstanding AmeriCorps National Civilian Community Corps (NCCC) Member: given to a currently serving AmeriCorps NCCC Member or to an AmeriCorps NCCC member that has served within the last year who is an extraordinary example of the Spirit of AmeriCorps. Outstanding Senior Corps Volunteer: given to a currently serving Senior Corps volunteer or to a Senior Corps volunteer that has served within the last year who is an extraordinary example of the Spirit of Senior Corps. Outstanding AmeriCorps Alumni: recognizes the exceptional impact of a Colorado AmeriCorps Alumni, whose commitment to embody service beyond their term of AmeriCorps service, continues to bring about positive community change. It was 9am and the sun was already beating down when I arrived at the meeting place for Extreme Community Makeover’s (ECM) Tuesday Work Day and was greeted by Angela Bomgaars, the organization’s Executive Director. A fold up table was set up with an array of t-shirts, pamphlets, and a donation box. This morning, Angela was hosting a team of realtors from Denver who were taking a day off work for team building and to give back to a community in Denver. The group congregated around Angela and she began describing the work that ECM does, prepping the team for a full day. ECM Work Days take place in eight Denver neighborhoods: Barnum, Elyria, Globeville, La Alma/Lincoln Park, Swansea, Villa Park, West Colfax, and Westwood. ECM conducts door-to-door surveys on blocks in these neighborhoods, asking if folks need any assistance with exterior home repair and improvement projects. After identifying houses that request help, ECM volunteer groups “adopt” that block and spend a Work Day helping out. All these projects and volunteer hours add up. ECM estimates that since they began serving Denver 18,075 volunteers have participated. The dollar value of time these volunteers have put in, they report, is equivalent to $2,277,574.00. While these statistics are certainly impressive, ECM’s long-term goals and vision supersede them. As Angela explained to me, ECM uses Work Days as a lens for people to critically look at how they interact with their neighbors and what role they have in being a part of a thriving community. Volunteers are able to connect with neighborhoods and people they might not otherwise interact with, and then seek out ways that they can help out again outside of ECM. Similarly, the folks whose house or yard is being worked on are inspired to give back in other ways, to “pay it forward” to someone else in need. At the core of ECM’s vision, engagement goes a step further. With the spark of an ECM Work Day, blocks & neighborhoods collectively discover the resources that they have – in tools, in skills, but, most importantly, in people – and realize the ways that they can help each other. Neighbors connect and build community, creating a model for how we can help each other moving forward. 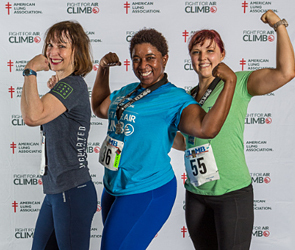 “Grass and weeds will grow back, paint will chip, so ECM is really about connecting people in a way where neighbors can help each other over the long term,” Angela explains. Stats like the ones above show that ECM is on the right track with their mission, but a story that Angela relayed to me illustrates how ECM envisions change happening on a long-term scale. One Work Day, Angela and that day’s volunteer team were helping out at the home of an elderly woman who was confined to a wheelchair — picking weeds, painting exterior walls, mowing the lawn. A few neighbors on the block saw the large volunteer team working and came by to ask what was happening. After hearing about why ECM was there and the simple yet important work being done, they quickly realized that they could do the same thing at this woman’s home, but on a regular basis. They now help mow the neighbor’s lawn and do other small repairs when needed, a small chunk of time out of their weekly routine, but a big difference for this woman who wouldn’t be able to do these tasks otherwise. Now, instead of having a volunteer team come out to do these tasks, the members of this block work together – each and every week – to improve their own neighborhood. Despite the big impact ECM has already had, they still face significant challenges, the biggest of which is simply bringing in enough resources to work on the scale needed to start making people rethink the roles they play in their neighborhoods. This is a model that Angela and the ECM team think can scale throughout Denver and to other communities, but they are focused on dedicating limited resources to keeping up the high quality work they’re currently doing. A big drain on resources and the quality of work they do is simply not having a truck – which is why they’ve asked for support through Neighborhood Catalyst to obtain one. Right now, without a truck, ECM must spend vital time and money transporting tools back and forth from project site to project site. When things don’t fit in the cars they have now, they have to make multiple trips. Without a truck, they can’t properly dispose of debris from Work Days – a key organizational goal, and an important aspect of beautification for the residents of the blocks they work on. Currently, not having a truck is a drain on resources and a hurdle for completing the work they set out to do. With a truck, ECM will be able to efficiently get tools and equipment to the Work Days that need them, save on resources that can then be redistributed to key long-term projects, and, lastly, will allow them to be even more effective at improving neighborhoods. Be a part of ECM’s work by contributing to their campaign here. They are so close to their goal, but must reach 100% by June 14th to keep what they have already raised. To learn more about Extreme Community Makeover, and to discover other ways you can support and get involved, visit their website and follow them on their Facebook page. If your interested in learning more about ECM they have a happy hour event happening on Wednesday, June, 25 at 4:30pm – 6:30pm for more information click here to check out their Facebook page!